Out of the Box Consulting has been providing support to Community Kinders Plus for over two years. Nicola has provided the organisation with a clear direction in relation to communication and marketing through the development of comprehensive plans and processes. Our communication with families has improved greatly since engaging Nicola and we look forward to having Out of the Box Consulting supporting CKP in the next phase of its business growth. Out Of The Box Consulting is the place to go. Look no further! If you want good quality advice and service. Highly recommended. ﻿Out of the Box Consulting﻿ is fast, reliable and cost effective for our business. They understand our needs, deliver what we expect and have helped to free up valuable time we need to work on our business. We highly recommend Out of the Box Consulting. Thank you Nicola for helping us as we diversified our business. You learned a lot about our industry and understood our company goals in a very quick timeframe. It was really great to get confirmation on where we were going, what our focus was and how to best reach our market before investing large amounts of money in advertising. Our new website is a great success – we are getting enquiries all the time now and it’s an attractive, informative and interactive site that we can be proud of. As a start up business the list of tasks to complete is long and impossible to do them all well without assistance. 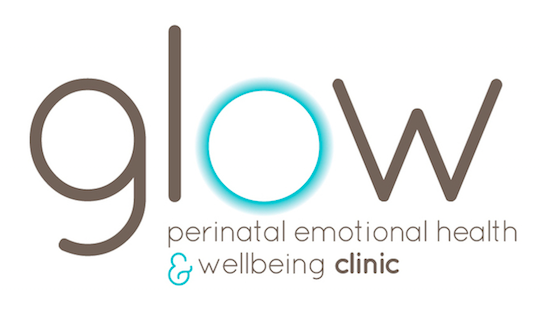 Out of the Box Consulting provided GLOW Clinic with a Marketing Strategy and implementation plan, and also organised and ran focus groups to test our website. Nicola was extremely obliging with all our requests, including keeping within a limited budget, and provided GLOW with a comprehensive strategy. Her assistance was invaluable in establishing our clinic and brand. I’m a big believer in IFOT – In Full On Time – and Nicola at Out of the Box Consulting has always done this. Her ideas are always worth listening to and implemented. The great thing with Nicola is that I can present her with an idea and what I wish to achieve and then leave her to turn it into results, as she is quickly “in tune” with the messages I wish to send. The real test with anyone is “Would I use them again?” With Nicola I use her over and over again. Out of the Box Consulting has been a huge benefit to our business saving us time to focus on what we do best - Personal Training and Fitness. They look after our Social Media and provide other marketing advice and solutions for our business. Their service is fast and efficient and we highly recommend them to anyone looking to leverage their time. We opened our Panel Shop in 2014 and thanks to Out of Box Consulting we were able to have a website created and start promoting our new business. We couldn't have been happier with the level of one on one service and attention to detail that Nicola provided to us. Her on-going support to local small businesses such as ours, makes Out of the Box Consulting a huge step ahead of the rest. Out of the Box Consulting worked with us to undertake a major survey. Nicola was helpful and responsive and has some great creative ideas. She also presented to our community advisory committee and her presentations are well thought out and easy to understand. I recommend Out of the Box Consulting to anyone seeking creative guidance to deliver a project.